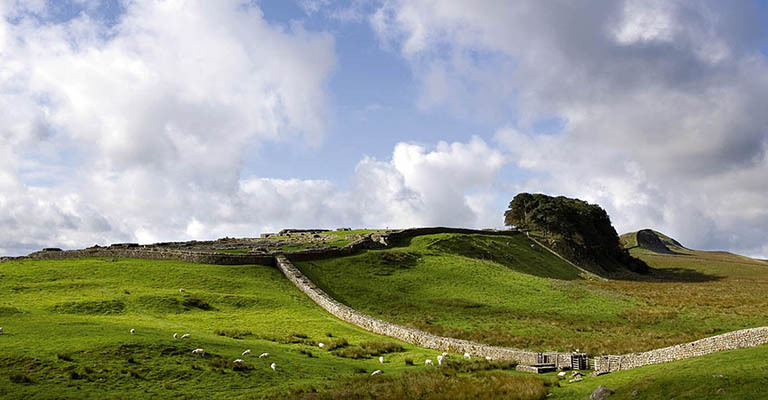 Set high on a dramatic escarpment on Hadrian’s Wall World Heritage Site, Housesteads Roman Fort takes you back to the Roman Empire. Wander the barrack blocks and the hospital. Peer into the oldest toilets you’ll ever see, and admire the stunning panoramic views from this ancient fortress. Our interactive museum showcases objects once belonging to Roman soldiers, and the mini-cinema will take you on a journey through time. Today Housesteads lies in an empty landscape, but in Roman times there was a busy garrison of 800 men here and, outside the fort walls, a settlement of civilians and traders. The visible remains include four imposing gates, and a complete line of curtain wall and interval towers. Within the fort are the remains of all the main buildings found in an auxiliary fort, and part of the settlement outside the south and east gates is also visible.